When it comes to creating lasting impressions through visually-stunning and professional-looking documents, most businesses trust HP LaserJet printers to deliver high-quality print-outs. This is the reason why HP is committed to not only manufacture the most advanced printers but also to develop the print technology behind these machines. HP LaserJet printers now more responsive to business needs with the toner cartridge JetIntelligence technology. Now, HP makes its LaserJet printers even more powerful and responsive to business needs as it equips its Original HP toner cartridges with JetIntelligence. 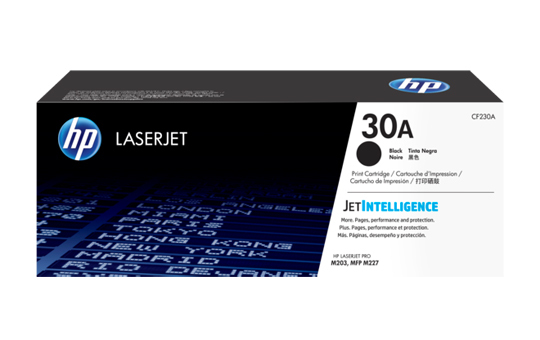 The HP JetIntelligence technology inside every original HP toner cartridge enables LaserJet printers to print even more high-quality pages and work at peak performance while ensuring utmost protection against counterfeit cartridges. The original HP toner cartridge with JetIntelligence has a page maximizer technology that uses smaller, more robust parts to fit even more toner particles inside each cartridge, ultimately resulting in more prints that can help reduce costs. An intuitive print gauge technology also constantly tracks toner levels to predict cartridge life more precisely than ever before. Aside from JetIntelligence technology, the original toner cartridges—ColorSphere 3 toners for color HP LaserJets and precision black toner for monochrome HP LaserJets—are specially engineered to match the printer’s high-speed performance. The toner particles of ColorSphere 3 toners have a wax core and soft polymer that melts at lower temperatures to provide 40% faster printing of glossy documents while consuming up to 50% less energy. A hard, durable outer shell also protects the toner particle from breakage and wear, for higher page yields. HP Polymerized Precision black toners, meanwhile, boast of a low-melt wax core surrounded by black polymer for fast and energy-efficient printing of crisp, black text and professional-quality graphics. Every original HP toner cartridge with JetIntelligence is equipped with HP’s exclusive anti-fraud technology that helps users manage costs and prevent the use of potential counterfeit or used cartridges. This is done by authenticating the cartridge as it is installed and notifying users if a used or counterfeit cartridge is detected. An auto seal removal also automatically occurs “inside” the cartridge to allow for consistent, clean, and hassle-free installations. To know more about how the HP JetIntelligence Technology inside original HP toner cartridges can help your business boost productivity while reducing costs, visit any authorized HP reseller outlet nationwide.